and how they show their affection. Thank you so much, for very heart-warming and cute answers. Love is in the air! Cozy up with someone you care about, and play Shadow Puppeteer. Now on sale! Below are the stores where the sale applies. Valentine’s day, a day both widely loved and hated around the world, will soon be upon us. We feel the day is a great excuse to be both silly and creative while making someone else smile. That is why we are bringing you: 10 nerdy tips to a great Valentine’s day. To celebrate Valentine’s Day, as well as the love two people feel for one another when playing shared-screen co-op, we’re putting Shadow Puppeteer on Sale. 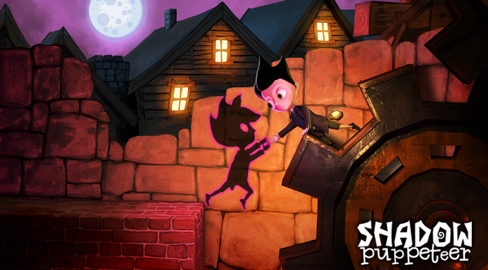 From now through Monday, Shadow Puppeteer will be 10% off on the Nintendo eShop, Steam, Humble and Green Man Gaming. Happy Valentine’s Day and happy co-oping. With Valentine’s Day approaching we thought we would write a slightly different blog post. This week we’re sharing our “Top 10 tips for Geeky Valentine’s day Dates”.